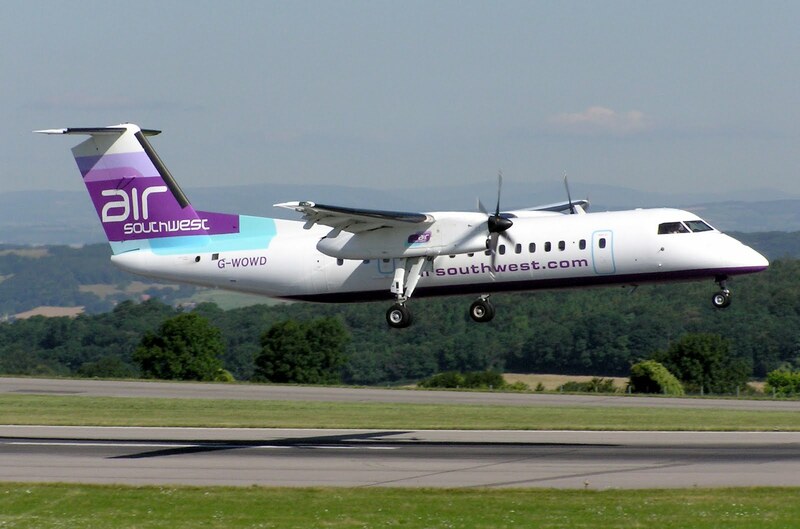 News, and bad news has been announced about Air Southwest’s intention to pull out of Plymouth and Newquay. This is a huge blow to not only Plymouth, but Newquay airport. As people will know Newquay airport is owned by Cornwall Council and has for the last few years been losing a considerable (millions) amount of money every year. Newquay’s routes to Glasgow, Guernsey, Jersey and Manchester will also end on the 13th September and then on the 30th services to Aberdeen, Bristol, Cork, Dublin and Leeds Bradford will end. No doubt the revenue to the already loss making airport will be further hit. I have sent an email asking the amounts of lost revenue and the impact to the airport this announcement will have. You need planes to land and take of from an airport to make it work. The question is: how many more blows can Newquay Airport take before it is a lost cause? It's a shame but the airlines don't help with the increasing costs to fly out from Newquay. Last year it cost us just under £200 per couple to gatwick return, this year the cost was £330!! (they charge you extra for a seat but you can't stand so it's ridiculous) a train to paddington return is £140 per couple..no contest! The convenience last year out weighed the extra cost to fly but with everyone feeling the pinch, it's us in Cornwall who loose out again. maybe the government should scrap passenger duty for smaller regional airports to lower prices. the discussion the guy who runs the airport should be with Flybe to figure how newquay can hub into exeter airport which has loads of flights. The simple truth is that airports are like stations in that they do not actually make money in their own right unless they have added value operations like lots of retail and franchise shops.The big difference is that stations are really only like glorified bus stops whilst Airports cost millions to operate. Simple choice, you get the passengers to pay what it actually costs to provide what is a safety related service or someone subsidises the operation. The business case for NQY has never been made and extra flights will never cover the costs. Why should Cornwall ratepayes cover this !!! !